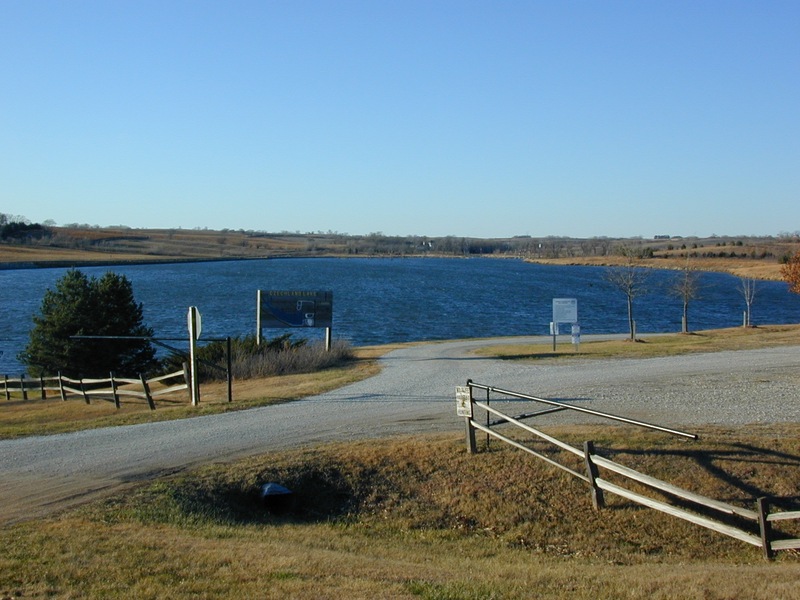 Czechland Lake Recreation Area is a multipurpose reservoir located one mile north of Prague, Nebraska on Highway 79. The area, conveniently located to Omaha, Lincoln, Fremont, and Wahoo, offers a variety of outdoor activities for all season. The 82-surface-acre lake is situated on 260 acres of public access land and is a popular site for fishing, hiking, picnicking, wildlife watching, no-wake boating, and RV and tent camping. The recreation area is owned and operated by the Lower Platte North Natural Resources District; park permits are not required to enter the area. The lake was built in 1988 as the last structure in the Cottonwood Creek Flood Control Project. The $1.8 million cost was shared by the NRD, the Nebraska Natural Resources Commission, Saunders County, and the Natural Resources Conservation Service. Additional grant funds from the Nebraska Environmental Trust and the Nebraska Department of Environmental Quality/EPA Region 7 are being used for the Czechland Lake Wetland Project, designed to reduce siltation in the lake. 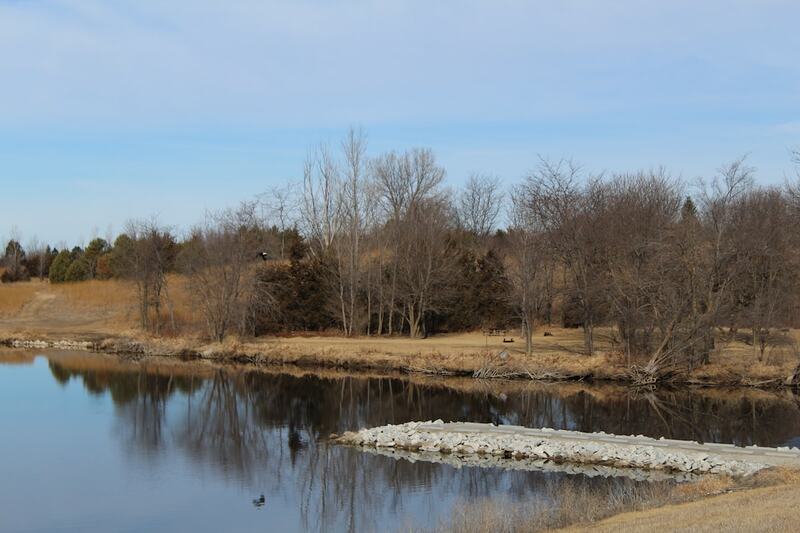 In addition to flood control, the lake was developed to support recreation and education. 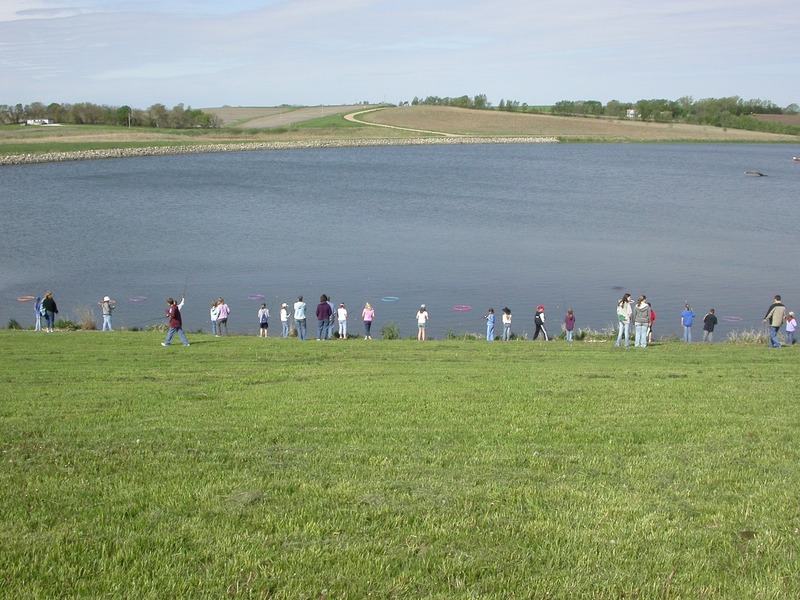 Each spring, the lake hosts the NRD’s Spring Conservation Sensation, a natural resources festival for elementary students. A number of school tours are also held at the project site each year. 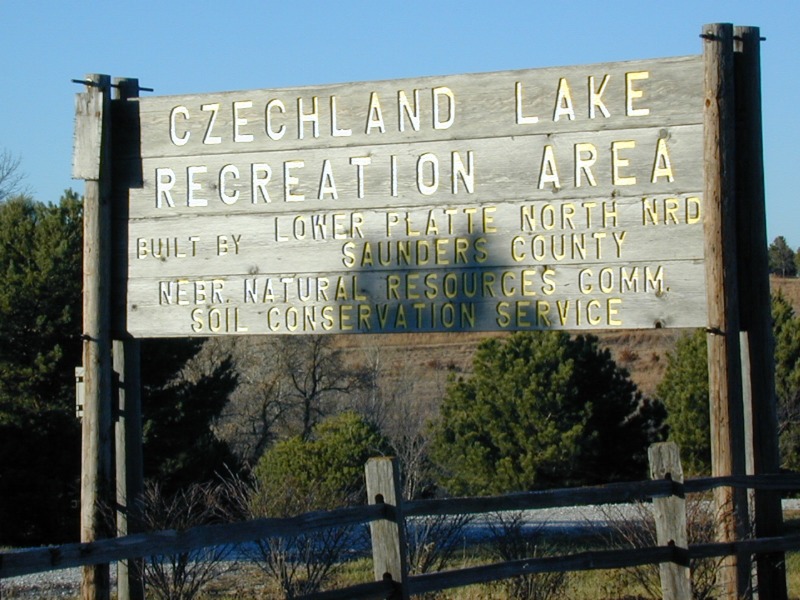 Three day use areas are available at Czechland Lake, and include picnic shelters, grills, fire rings, and restrooms. No park permits are required for entry to the recreation area. Rough it in your tent or relax in your RV; Czechland Lake has facilities to accommodate both types of campers. The RV camping areas offer picnic tables, grills, and restrooms. Eleven camper pads have electrical hookups for $18/night (if you’re using one of the electrical camper pads, the fee is required whether you are in an RV or a tent). Three non-electrical pads are also available for no additional fee. Tent camping areas are free and offer restrooms, picnic tables, and fire rings. Camp sites (both RV and tent) are first-come, first-served and stays are limited to 14 days. 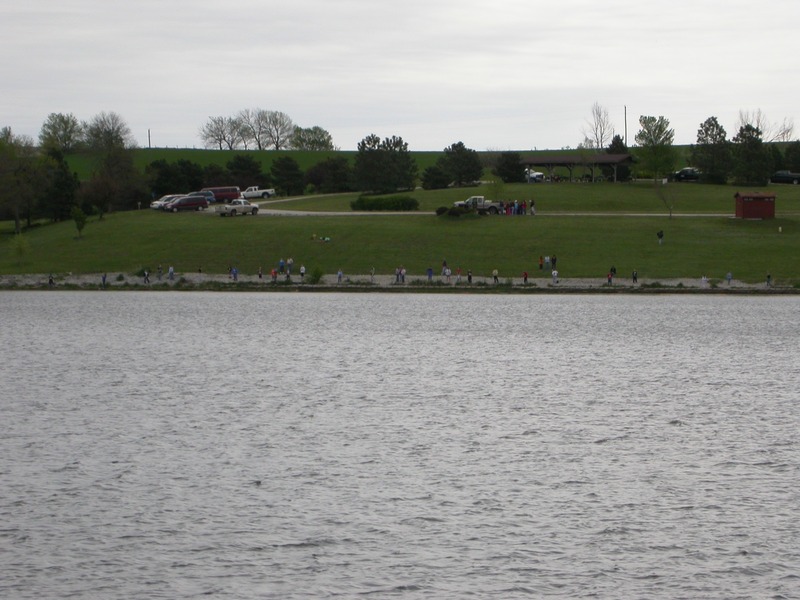 The Czechland Lake fishery is managed by the Nebraska Game and Parks Commission. The lake was initially stocked with catfish, bluegill, northern pike, and largemouth bass. A valid Nebraska fishing license is required to fish, and all state fishing regulations apply. A minimum size limit of 10″ for crappie is in effect. Catch and release is encouraged to maintain a healthy fish population. 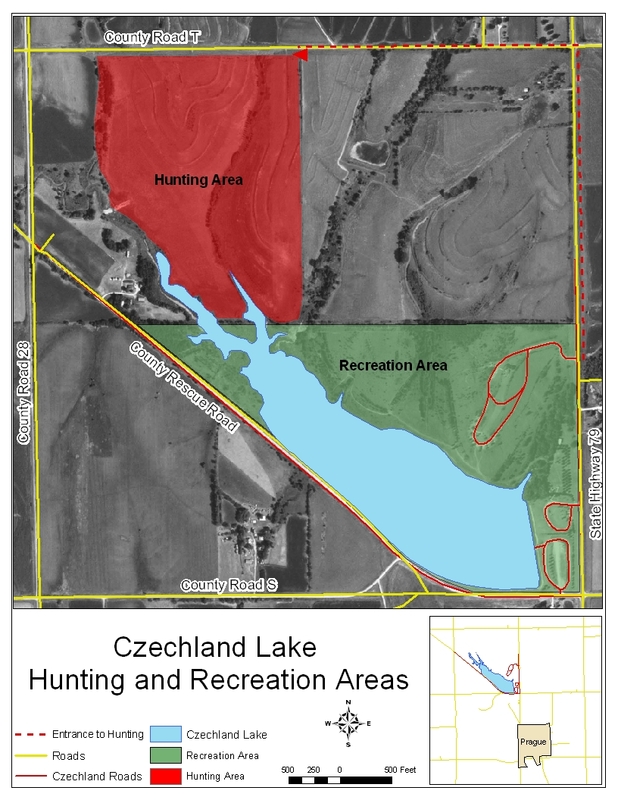 Upland game hunting is allowed on the northwestern side of Czechland Lake Recreation Area in posted areas. All Game and Parks hunting regulations apply. More than 12,000 trees and shrubs have been planted at Czechland Lake since 1988, along with a variety of native grasses and forbs. 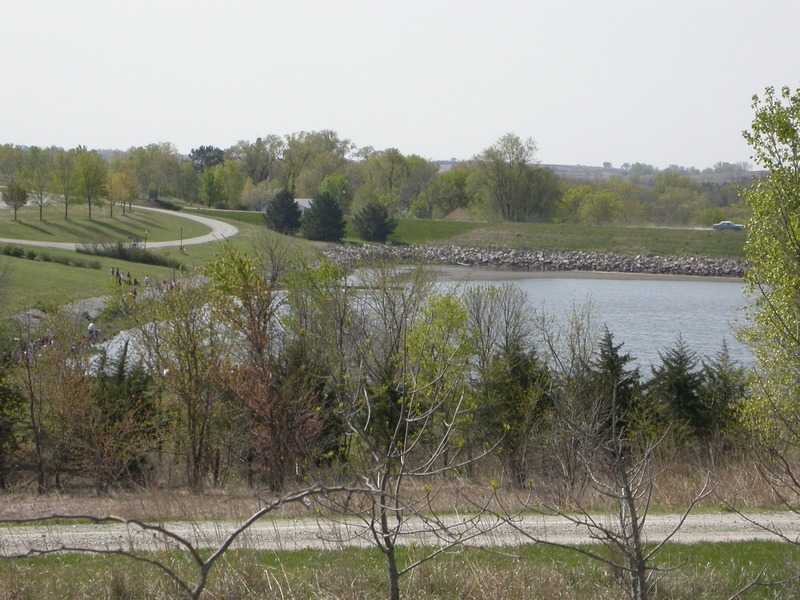 The plantings provide wildlife habitat, erosion control, and beautification, and can be viewed by walking the hiking trails on the north side of the lake. The trails connect the three day use areas with the tent and RV camping areas. Vehicles must stay on designated roads and parking areas. Pets must be restrained at all times. Fires are permitted in outdoor grills and fire rings only. Only no-wake boating allowed (5 mph maximum). All state fishing regulations must be followed. Camping permitted in designated areas only. Quiet shall be maintained between 10 p.m. and 6 a.m.